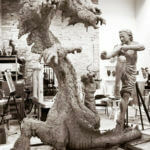 The artists from The Fine Art Studio of Rotblatt-Amrany are proud to announce the official unveiling of their “Battle for Harmony” sculpture in bronze. 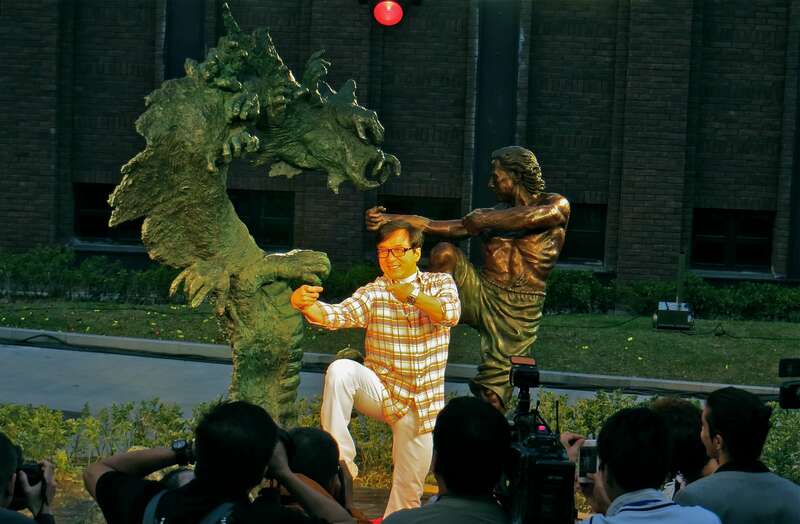 This piece is a tribute to world-famous actor Jackie Chan, and is installed at the Jackie Chan Film Gallery in Shanghai, China. 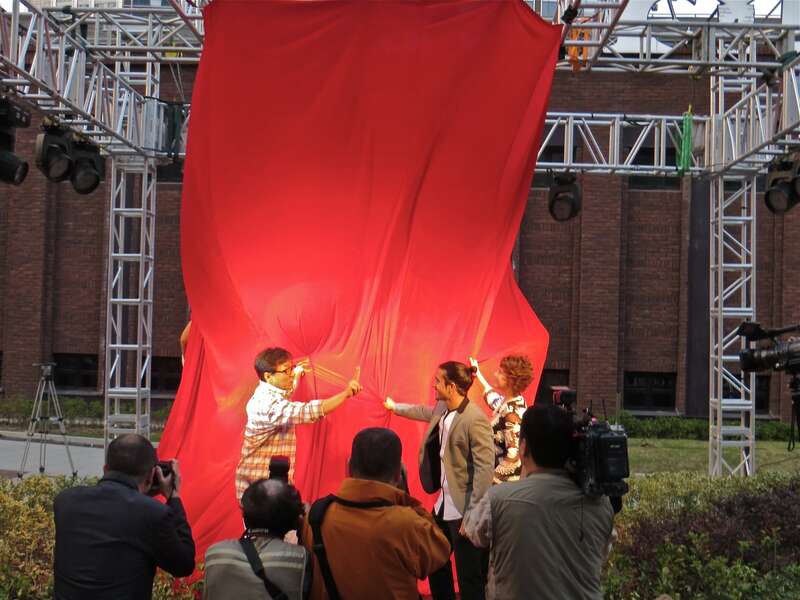 The unveiling took place Friday, November 8th on site at the Film Gallery, and the artists were present at the event. 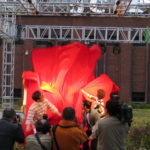 While the Amranys have several independent works on display internationally, this piece is their first installation in China. The team of artists who collaborated on the work includes Julie Rotblatt Amrany, Omri Amrany, and Itamar Amrany. 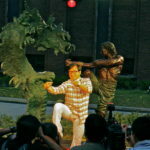 The sculpture itself measures 9’ high by 8’ wide, and depicts Jackie Chan poised in a moment of confrontation with a large dragon, which is composed of different Kung Fu hand positions. 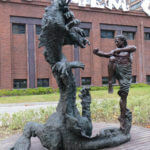 These details in the sculpture serve as a metaphor representing the constant battle all humans face within to find harmony in a world of strife and violence. 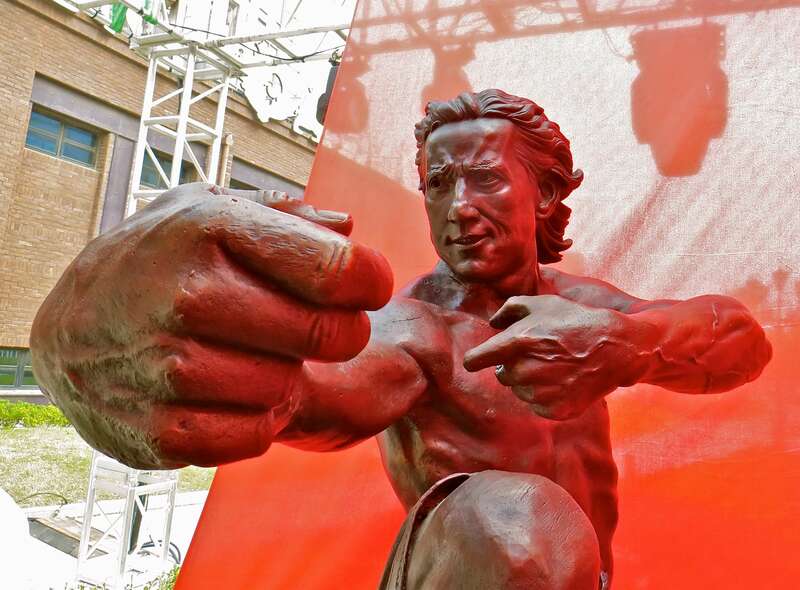 Plans for the sculpture transpired over a lengthy process that started in 2001, when the artists began conferring with Jackie regarding what he would like to see in a sculpture of himself. 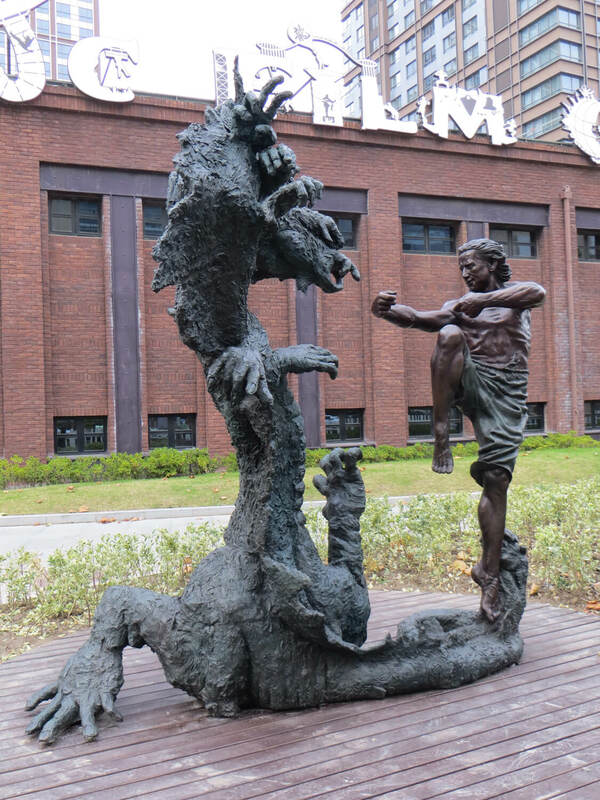 Along with the prevalent dragon symbolism in Chinese culture and Kung Fu forms that are infused, the concept of Jackie’s humanitarian efforts is signified by the way in which the two figures, Jackie and the dragon, form the shape of a heart. Jackie is an ambassador for the Red Cross and has done a tremendous amount of philanthropic work around the world, and so the Amranys have captured that element in the structure of this homage. 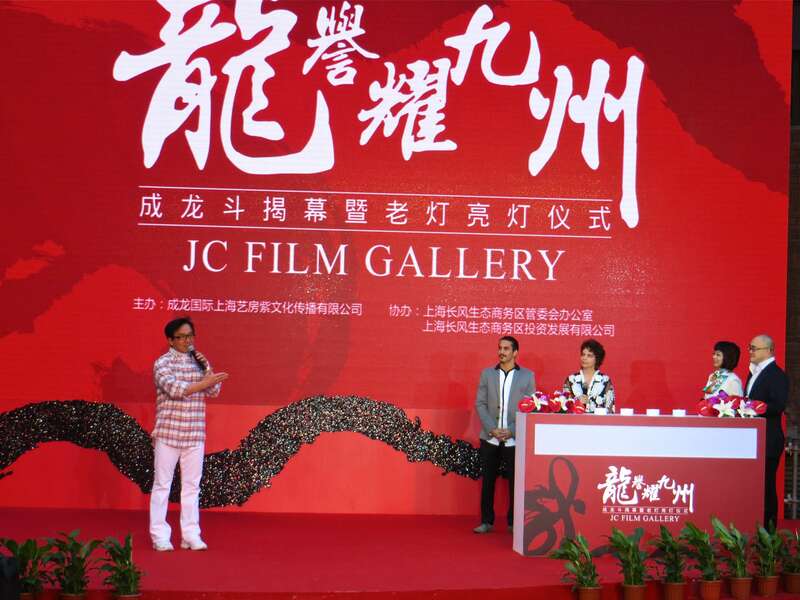 “We are proud to finally unveil this significant piece at the Jackie Chan Film Gallery, in Shanghai, China. 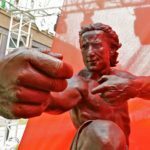 It is a monument to honor Jackie in all his philanthropic endeavors as well as his mastery of comedy, acting and the martial arts. 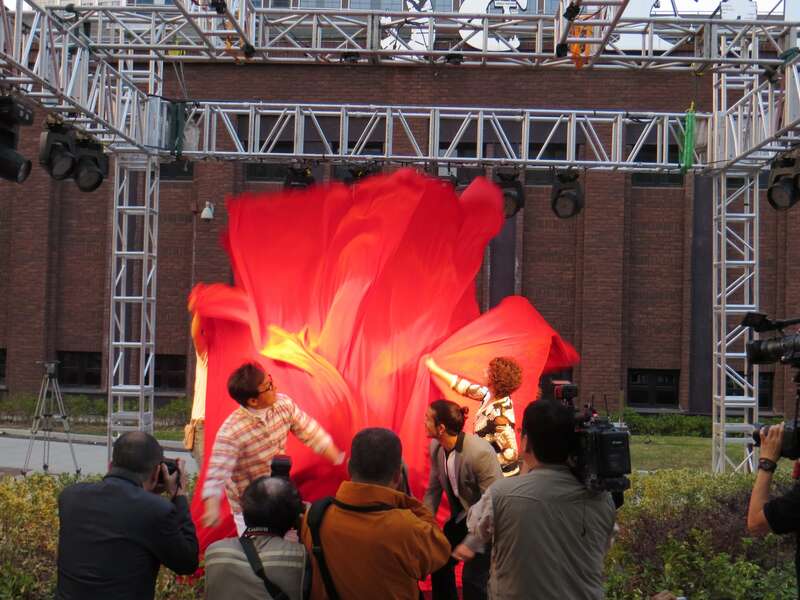 It is a piece of art that captures the symbolism of ancient China. 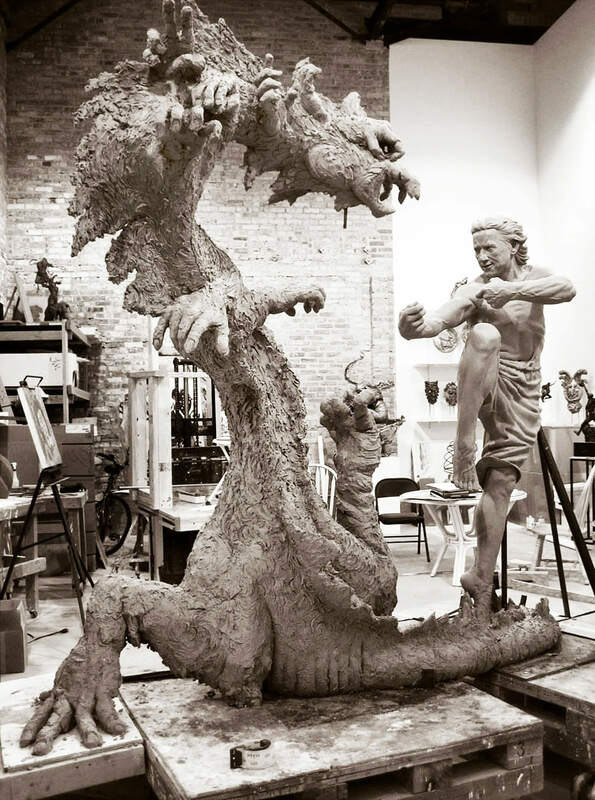 Therein lies a delicate balance within the Yin/ Yang of opposition,” Said Julie Rotblatt Amrany, designer and contributing artist on the “Battle for Harmony” sculpture.